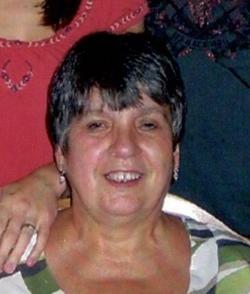 With her family by her side, Diane Marie Tompkins of Perth-Andover, NB, passed away peacefully at Hotel Dieu St. Joseph Hospital on March 20, 2019. Diane was born in Moncton, NB, on January 30, 1948. She was the daughter of the late Sifrois and Rema (Cassista) Cormier. Diane leaves behind her children, Shawn Tompkins (Candance) of Upper Kintore, NB, Paul Tompkins (Tracy) of British Columbia, Michelle Swazey (Jamie) of Perth-Andover, NB, Donnie Adams (Hilary) of Bairdsville, NB; twelve grandchildren and ten great grandchildren; her life partner, Lynn Clark of Rowena, NB; her sister, Nanette Mackellar (Jim) of Red Rapids, NB; her brothers, Glen Cormier (Brenda) of Perth-Andover, NB, Todd Cormier (Shelley) of Saint John, NB. She was predeceased by her parents; her sister, Claudette Pinter. Funeral service was held on Monday, March 25, 2019 at 2 pm from Brunswick Funeral Home. Father Gilbert Doddatto officiated. Interment will be in St. Mary of the Angels Catholic Cemetery at a later date. Music for the service was by Carol Andersen. The eulogy was given by Diane's son-in-law, Jamie Swazey.